Luckily, my parents bought a dslr-camera for their safari through Africa, which I then confiscated for my race trips. With that outdated Olympus E-510 I discovered that besides a fascination for motorsport, I was also a very passionate photographer. Currently I’m shooting with a Canon 7d Mk. II with lenses 24-70mm f/2.8, 70-200mm f/2.8, an EF 2.0xIII extender and 500mm f/4. On this site I present my best images from the events I visit. 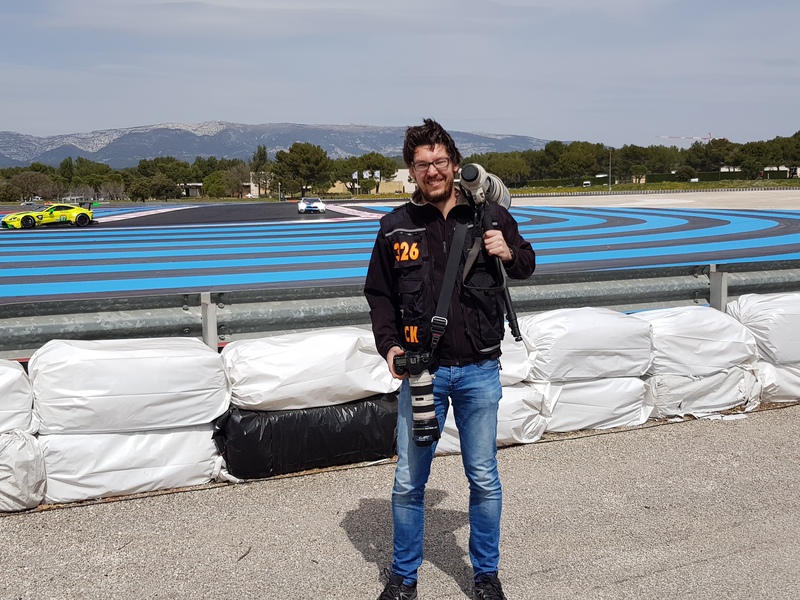 At the start of 2018 I obtained an official Press Card and I’m now shooting in front of the fence at WEC-events as an official photographer. Keep an eye out for updates in the “Publications”-section for an overview of my published photo’s! I’m always open for comments and tips! If you would like me to shoot one of your race events (or assist your agency) please send me a message!